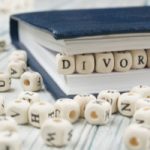 Going through a divorce can be a painful experience, especially if you have children or you were were married for a very long time. It can be hard to start over after being with someone for so long, but the recent rise of gray divorces shows that no matter what age you get divorced, you can move on and be happy. Whether you are in your 20s, 30s, 40s, 50s, or older, there are things you can do to reinvent yourself and get your life back on track after ending your marriage. It can take about two years to feel normal again after a divorce. Here are some activities to consider to help you work through the various emotions you are experiencing and make life even happier. It is always helpful to have a strong network of trusted friends and loved ones when you are going through a divorce. Plan to meet and connect with these people face to face, as you will be able to reap more benefits with in-person contact than phone calls, emails, or a bunch of text messages. However, make sure you spend time with people who are positive and truly want to support you. Unfortunately, a divorce can bring out negativity among people who you thought were your best friends. Be prepared for judging and mean comments. It may be a good idea to join a social media group or a local group of divorced people who understand your situation. Expressing yourself through creativity is a great way to help you understand your emotions as you navigate through a divorce. Take a ceramics class or try painting or drawing. You might want to learn an instrument or join a band. If you enjoy acting, try out for a local play. Creative outlets where you can pretend you are a different character can help distract you from the stresses of your divorce. While you may still have kids to care for, you no longer have a spouse. You do not have to worry about their needs, so that leaves more time for you. You should take advantage of your “me time” every day. Whether it is reading, doing a puzzle, enjoying a TV show, getting coffee with a friend, pampering yourself with a massage, listening to music, or soaking in a bubble bath, make sure to focus on your needs for once. You will feel better about yourself and become better able to face the challenges that lie ahead. Studies show that keeping a journal has helped those who struggled with post-traumatic stress disorder (PTSD) and it can help those going through a divorce, as well. Writing about your feelings can be very cathartic. It is a good way to examine your feelings and track your progress. You can easily see how things have gotten better or worse with time and use the notes you take to inspire yourself to make positive changes. 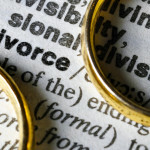 A divorce is the end of one phase of your life as well as a new beginning. Start your new life on the right foot by making some changes. Instead of staying in the same old rut, try something new. If you have always wanted to learn piano, now is the time to do it. Interested in needlework? Join a local sewing group. You can even form new interests without leaving your home. For example, you can buy a treadmill and start exercising, you can buy that parrot you always wanted, or you can learn something computer-based, like writing code. 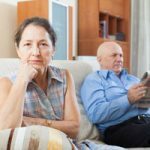 Getting up off the couch and moving around can be beneficial in a divorce. You get to burn off excess negative energy, so you feel more relaxed. Exercise is good for you in general, since you may not be taking care of yourself as well as you should due to the pressures of divorce. Joining a gym is a good way to stay healthy and meet new people, but exercise does not have to cost anything. If you can not afford a gym, even a walk or run in the mornings or evenings can energize you. Sometimes friendships end when a couple goes through a divorce. It can be hard for a single person to continue hanging out with married friends because they feel left out, like they are the third wheel. Married women especially may find it difficult to maintain friendships with women who are now single. That is why it is a good idea to find friends who have been through divorce just like you or have always been single. 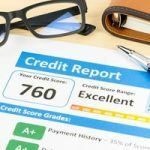 Plus, making new friends who do not know your ex-spouse can help you start over. After a while, you may want to consider dating again. Nobody likes to be lonely, and having a partner in your life can help you feel wanted again. There is no set standard as to when you can start dating again after divorce. You can start dating the moment the divorce is finalized. You can wait six months, one year, two years, or even longer. If it feels right, do it. You do not have to get married, so enjoy yourself and keep your expectations low. 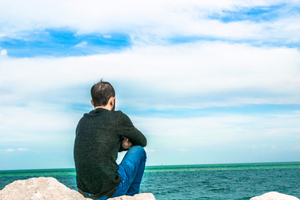 It can be hard to pick yourself up and move on after a divorce, but it is possible. Many marriages end in divorce, so you will not be the only one dealing with stresses of divorce, and you will not be the last. 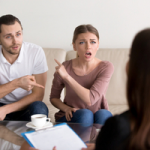 Get help with the legal aspects of divorce from Palm Beach divorce attorney Scott J. Stadler. He will focus on helping you with property division, child custody, alimony and other aspects while you focus on taking care of yourself. Schedule a consultation by calling (954) 346-6464. Gray Divorce: Should You be Concerned?